BRASILIA, Brazil, June 5, 2012 (ENS) – During a ceremony to celebrate World Environment Day, Brazilian President Dilma Rousseff today announced the establishment of a new national park and a biological reserve. The new 8,500-hectare Furna Feia National Park is in the northern state of Rio Grande do Norte, while the 34,000-hectare Bom Jesus Biological Reserve is in the southern state of Parana. 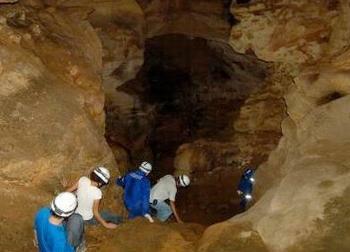 Furna Feia, which translates as Ugly Cavern, is the largest cave complex in the state, with more than 200 caverns found so far. About 105 species of plants and 135 species of animals live in the newly designated park, including several that are endangered. President Rousseff also announced the expansion of the Descobrimento National Park in the state of Bahia, the Araripe-Apodi National Forest in Ceara state, and the Goytacazes National Forest in Espirito Santo. During the ceremony, Rousseff said that deforestation rates in the Brazilian Amazon from August 2010 to July 2011 reached the lowest annual level on record since the National Institute for Space Research began satellite monitoring in 1988. 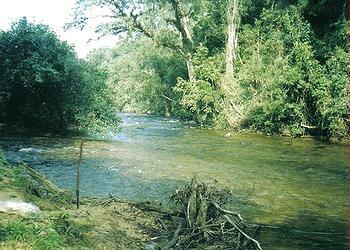 Brazilian Environment Minister Izabella Teixeira says that 81.2 percent of Brazil’s original forest remains. “This reduction is impressive; it is the result of changes in society, but it also stems from the political decision to inspect as well as from punitive action by government agencies,” President Rousseff said. 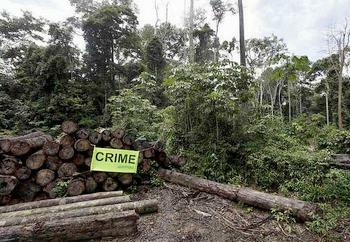 But environmentalists around the world are worried about the future of Brazilian forests now that President Rousseff has vetoed only some of the provisions of a new Forest Code passed in April by the lower house of Brazil’s National Congress. The changes ease logging restrictions and allow for many landowners to escape reforesting requirements. An international campaign collected signatures of approximately 2.15 million people demanding a total veto of the revamped Codigo Florestal, which they say weakens environmental legislation in Brazil. On May 28, President Rousseff vetoed 12 sections of the bill. While she rejected environmentalists’ pressure to veto the entire new Code, she removed some of the bill’s most controversial sections, including an amnesty for any illegal logging conducted before July 2008. Rousseff restored the obligation of landowners to restore forests that were cut down illegally, but smallholders are exempt from this requirement. Under Rousseff’s latest version of the Code, landowners must keep a portion of their lands under forest cover, from 20 percent for lands in coastal regions up to 80 percent in the Amazon. 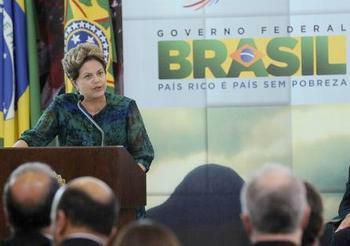 Rousseff explained the partial veto as a realistic balance of agricultural and environmental interests. The unification of such a group from various political parties towards a single objective is without precedent in Brazil. “The mere expectation that the amendment to the Forest Law and its consequent weakening would be approved set off a disturbing wave of renewed deforestation in the Amazon region, as has been unequivocally demonstrated by data recently released by the Brazilian Space Research Institute,” the ministers wrote. The Brazilian Committee for the Defense of Forests and Sustainable Development, an umbrella organization of some 160 NGOs, complained that under the rewritten Code, reforestation can be done with non-native trees such as eucalyptus and pine instead of restoring logged areas to their natural state as the current Code requires. The two largest associations of judges in the country, the Association of Brazilian Magistrates and the Association of Federal Judges of Brazil, said they are “deeply concerned” that inconsistencies in the new Codigo Florestal could open the floodgates to litigation. As Congress reviews the new language, more controversy is expected. The lawmakers have until September to overturn Rousseff’s vetoes, which takes a majority vote of both houses. The vetoes, expressed in an executive order, will expire in late July unless approved by Congress. At the World Environment Day celebration, President Rousseff took further action to protect Brazil’s environment by signing a decree creating the Watershed Committee of the Paranapanema River. Watershed committees made up of state, municipal and civil society representatives decide on matters related to usage and conservation, funds allocation and services, conflict arbitration and public education programs. Rousseff also announced a new action plan aimed at reducing infant and maternal mortality among Brazil’s indigenous population, with a focus on health care for children under six and women from ages 10 to 49. Also today, the President signed a decree establishing sustainable criteria for government procurement. She sent a message to Congress justifying the process of ratification of the Nagoya Protocol on access to and sharing of benefits arising from the use of genetic resources. And the President sent a separate message to Congress on the importance of the Bonn Convention for the conservation of migratory species of wild animals.